My friends and I thought it would be fun to organize a Fishing for Ideas Extravaganza. You can hop from blog to blog, get freebies, enter giveaways, and check out the lessons that are on sale. Each blogger is doing it a little differently, so make sure you visit ALL of the blogs. 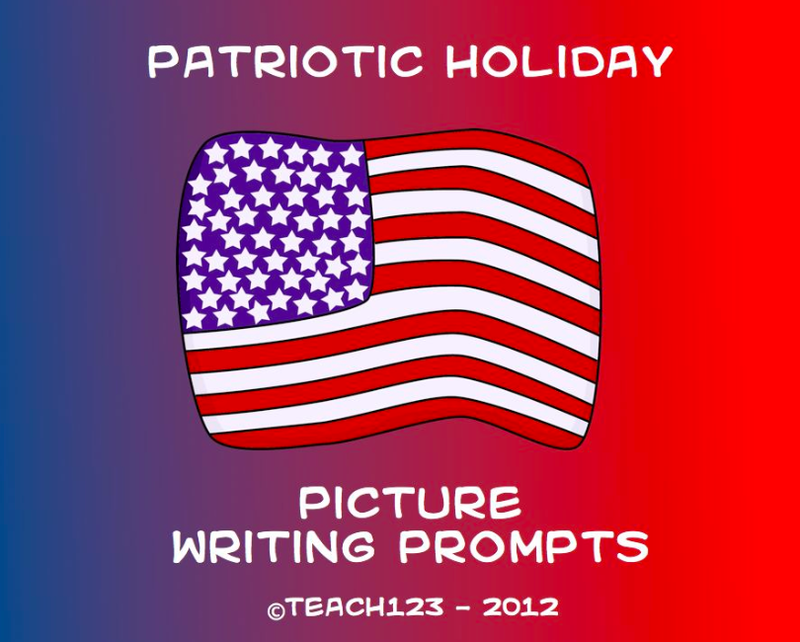 Picture writing prompts that you can use for Memorial Day, 4th of July, or Veterans Day. This packet is FREE from 1 a.m. June 14th – 10 p.m. on June 20th. I live in California so these times are on the Pacific Time Zone. If you read this post after 10 p.m. on June 20th (Pacific Time Zone), you can purchase this packet from my TPT store for $4. Students will shuffle the cards and divide the cards into three groups. Cards are grouped by the pattern of the frame around the word in the black and white version and the color of the frame in the colored version. Students will take one card from each group to make a sentence. Sentences can be real sentences or nonsense sentences. After making and reading sentences, students will choose 3 sentences to write on the assignment sheet. The Fun in the Sun packet is sold for $4 in my TPT store. Click on the picture to visit my store. The bloggers of this linky party are members of the A+ Collaborating Teachers Group. Follow our pinterest board to see our latest lessons and blog posts. Are you ready to go fishing for ideas? Thank you so much for this freebie!! I appreciate the Sentence Shuffle Fishing Freebie – it is perfect! Thanks for sharing! !